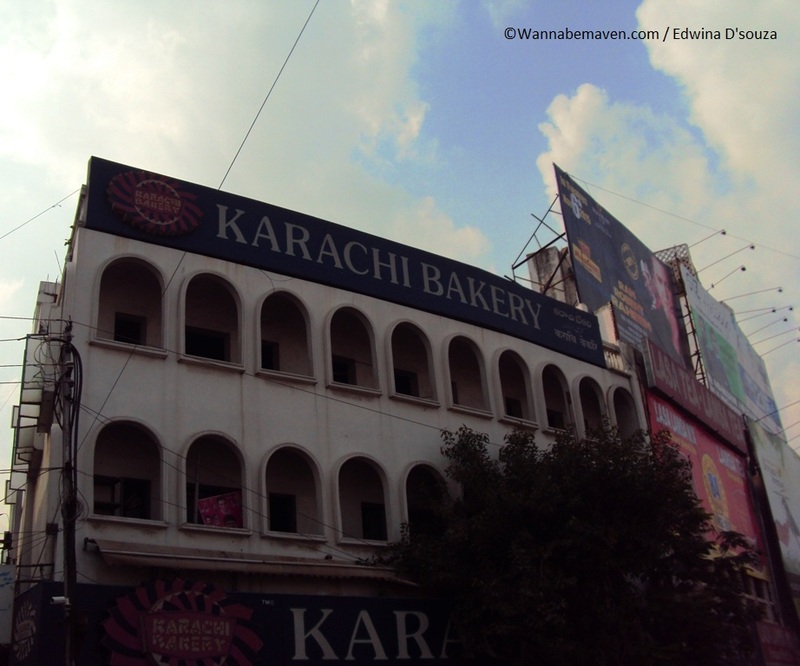 Hyderabad had always fascinated me. While the city of Nawabs is rich in culture and history, there was also the thrill of driving down from Mumbai to another Indian state. 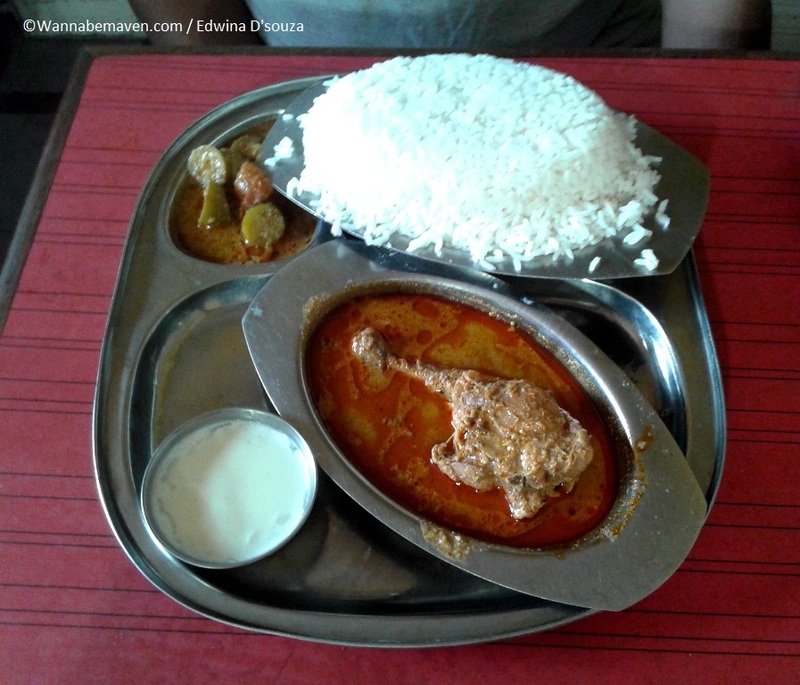 As much as I love my food, I was never able to finish a dish that I ordered while in Hyderabad. The Hyderabadis have a large appetite for food. Don’t let the waiter fool you when he says a Biryani plate will suffice for one. If you order a plate of Biryani in Hyderabad, three average eaters can finish the meal. And if you order a Biryani family thali for three, it is good enough for five to six people. The concept of buffet seems apt to them. That Hyderabad loves movies is a given. Their love for cinema shows in almost everything they do including dining. 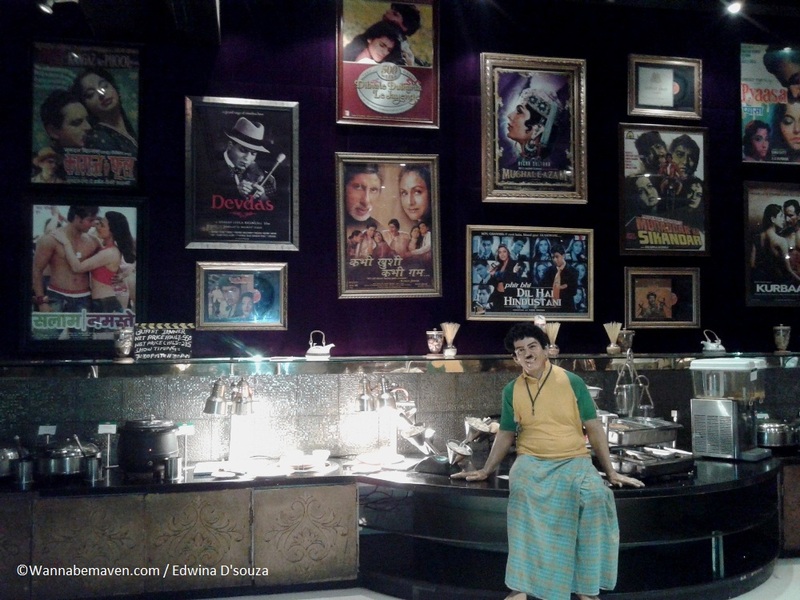 On day two of my stay in Hyderabad, I visited a restaurant called ‘70mm’ that had films as its theme. And as if I wasn’t done, on the third day, I ate a lavish buffet meal at the ‘Superstar’ restaurant at the Ramoji Film City. The traffic in Hyderabad is chaotic to say the least. You’re better off walking but it’s too sunny to leave behind the comforts and shade of a transport. While Hyderabad is a major hub for IT and IT enabled services, there is a lot to be desired in terms of infrastructure. The metro work is in a mess, there are too many one-ways leading to confusion and the roads are narrow and jam packed with daily commuters. We were often frustrated with the traffic that went late into the night. Unfamiliar roads, we struggled to find our way around the city. But the people are ever so kind. Often they would tell us to follow them to help us reach our destination. On three such occasions, the locals went out of their way to guide us on our route. As a female traveller, I also found Hyderabad safe for solo travelling women. 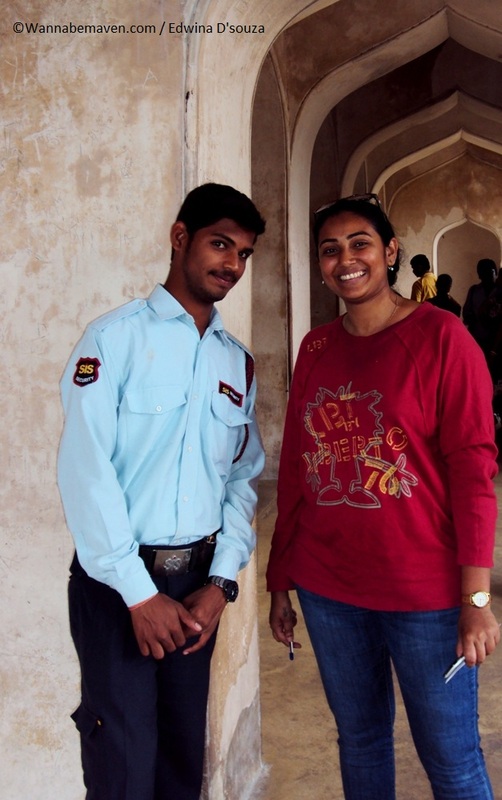 Yogesh, the security personnel at Charminar briefly ran me through the history of the monument. In a candid chat, he revealed that he is doing his BCom in Hyderabad but he’s originally from Aurangabad and wants to become a bank manager someday. He recommended that I visit the NTR Park. Says that he went there with his girlfriend and it’s a very nice place. 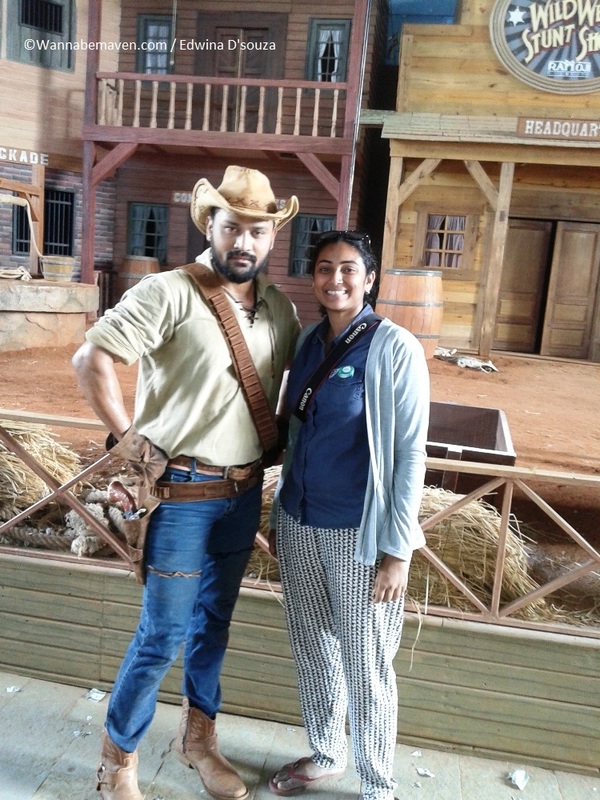 I’m a huge South Indian movie buff and I don’t let the language barrier come in the way of my love for Tollywood. 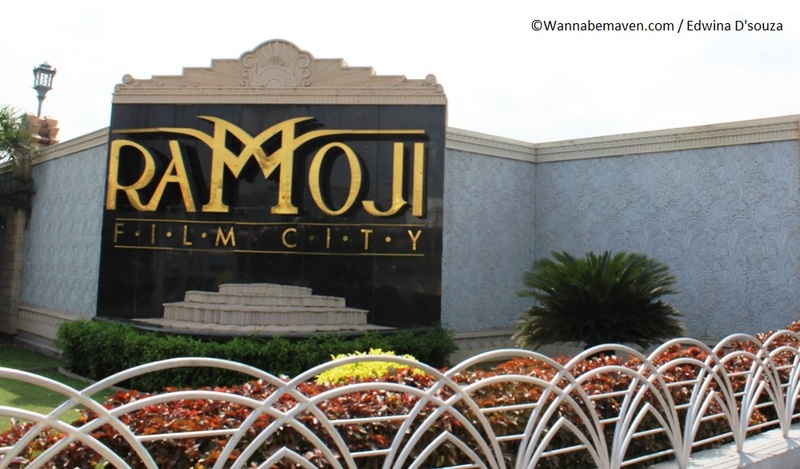 So, when I was in Hyderabad, it was obvious that I would drive down to Ramoji Film City, even if it meant giving an entire day to this place from my packed itinerary. If Mumbai has Marine Drive, Hyderabad has the Necklace Road. The reason to call it the ‘Necklace Road’ is the same as why we call Marine Drive ‘Queen’s Necklace’. 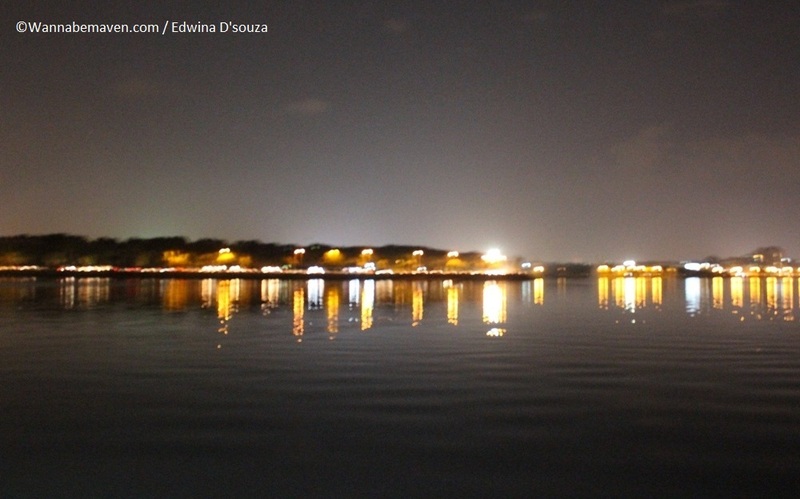 The Necklace Road encircles the Hussain Sagar Lake or Tank Bund and the street lamps glitter at night making for a spectacular view. Even the drive is a joy during evenings with empty serene roads and cool breeze. That’s true! The Mecca Masjid has a strict dress code and visitors are expected to follow it as a sign of respect to God. While they expect you to be modestly dressed, they do not consider jeans and t-shirt (even if it is full sleeved) as modest clothing for women, although men could enter wearing that attire. When I pushed my luck and tried to enter the masjid, I was stopped at the entrance and shown the board that hung there. So ladies, remember, if you want to visit the Mecca Masjid in Hyderabad, wear lose knee-length kurta and carry a shawl, or wear a Salwar Kameez. My guide at the Golconda Fort told me that the superstar has shot a majority of his films at this fort like Tere Naam, Wanted, Ready, Bodyguard and Dabangg 1 and 2. Salman’s sister, Arpita Khan had her grand wedding celebration at the palatial Falaknuma Palace where the entire Khan khandaan flew down to attend the lavish ceremonies. I’m probably connecting the dots here but it does seem like Salman Khan has a thing for Hyderabad. What do you think? 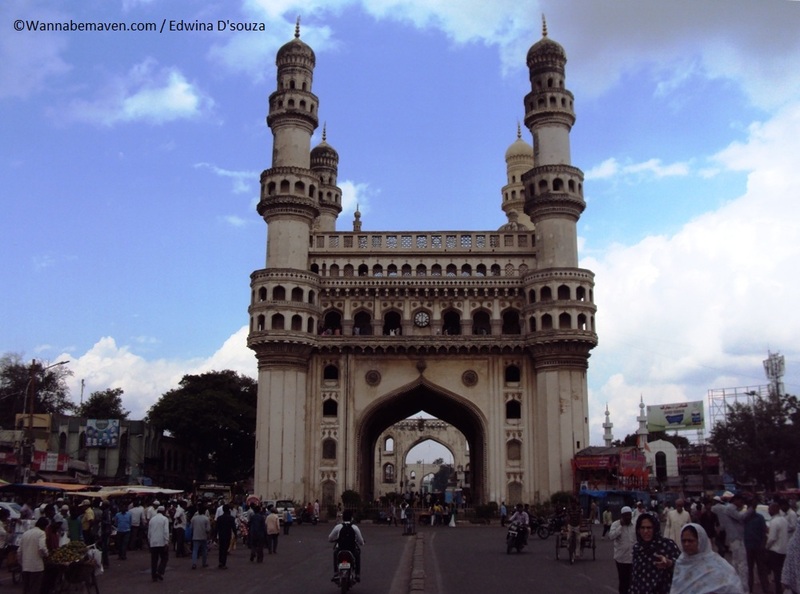 Hyderabad was ruled by the Nizams from 1724 to 1948. And while their rule has abolished, some of them are still honored and widely respected. 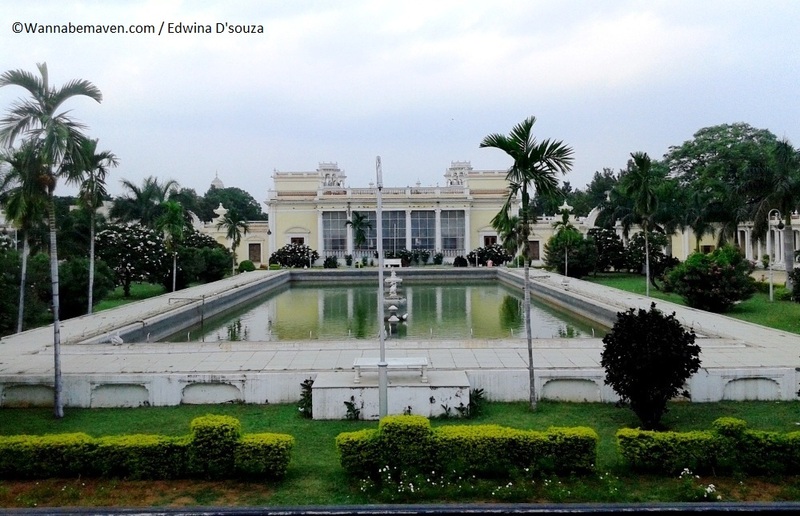 Hyderabad is home to a number of palaces like the Falaknuma Palace and the Purani Haveli. The Chowmahalla Palace is the residence of the current Nizam, Mukarram Jah. I was surprised to learn that the Nizam has left his palatial home and settled on a sheep station in the Australian outback. The Chowmahalla palace was opened to tourists in 2005. 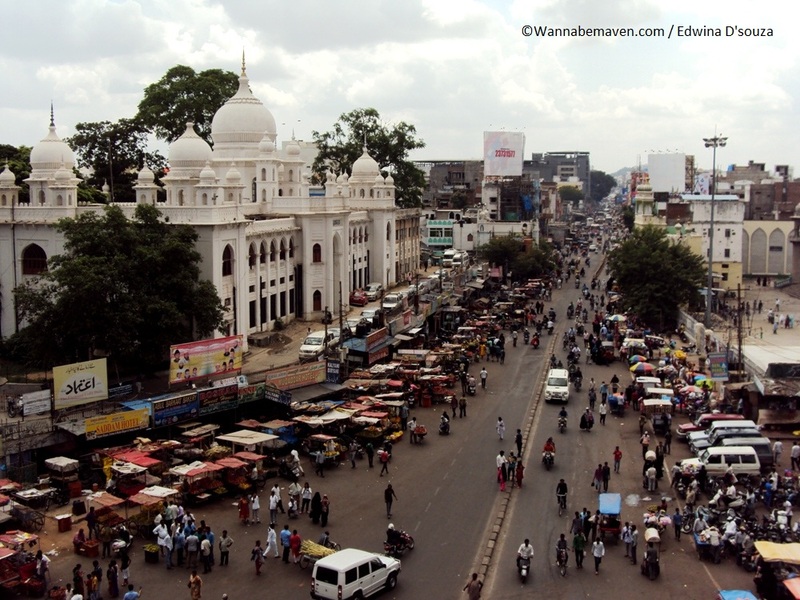 Hyderabad is divided into old city and new city. While the old city has most of the tourist attractions and is the lifeline of local trade, the new city consisting of Hitec City, Jubilee Hills and Banjara Hills is complete with swanky commercial buildings, IT parks, branded showrooms and posh eateries. The traffic situation and the travel time from the old city to the new city and back almost makes it feel like Hyderabad is a merger of two worlds in one. We stayed at Hotel Geetanjali in Abids (Old city) which was a budget option. For mid-range and luxury options, you can consider Royalton Hotel, Treebo Grand Plaza and Courtyard by Marriott Hyderabad. Join me on Twitter, Facebook and Instagram for more such travel stories and photographs. I also make cool status updates, just in case you like randomness! Subscribe to this blog to receive instant notifications of my new posts in your inbox. 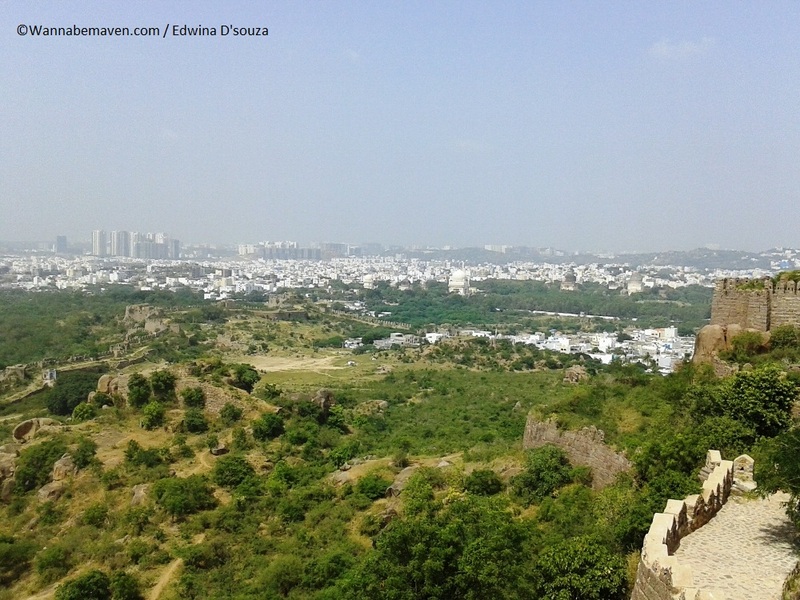 Culture, Hyderabad, Offbeat Experiences, Road Trip, Tourist Destination, Travel. Bookmark.